Silverfish (Lepisma saccharina) are wingless insects that are millions of years old, making them one of the oldest insects in the world and probably explains why they can live in almost any environment. They are a member of the order Zygentoma and love to feed off of your favorite carbohydrate heavy snacks within your pantry. This insect tends to be white to brown-grey or bluish-silver in color and 12-19mm in length. You can spot these critters by the distinctive three long bristles on their rear. This insect doesn’t feed on humans, however it can become a burden in the home as they can trigger extreme allergies, attract other pests such as carpet beetles, and eat large grains, clothing, upholstery, or paper. However, this insect is not known to carry any pathogens that cause sickness or disease. For the most part, silverfish work in the night, making it hard to establish who exactly has been getting into your pantry every night. However, they don’t live in just your pantry – silverfish also love to live in attics, basements, bathtubs, sinks and showers due to the fact that they can live for a year or more without consuming any food as long as water is available. This most likely another reason why this species has survived so long. This insect is usually unknowingly brought into your home by transport with cardboard boxes and plastic containers that were recently stored in an infested area. However, they can also sneak into the home through foundation cracks, torn screens, or gaps in doors. Silverfish are lured in by crumbs, dirty dishes left in the sink, and environments with a lot of moisture and humidity. 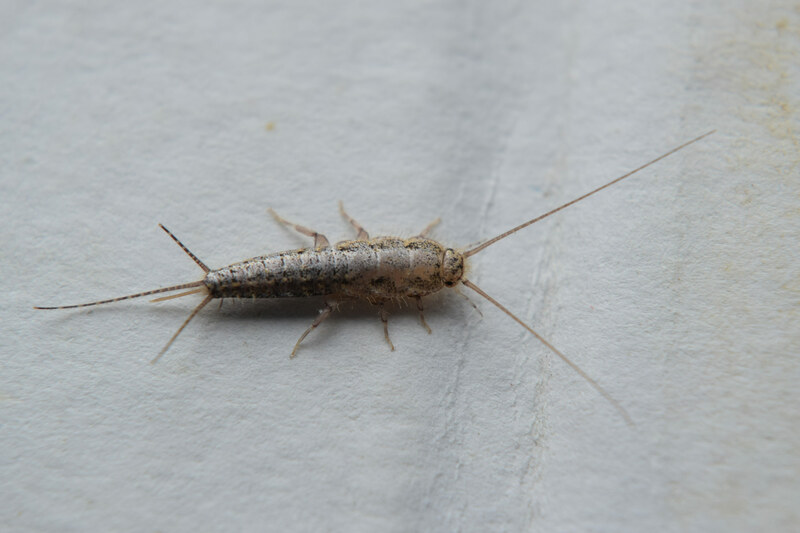 To prevent a silverfish infestation it’s important to sanitize, open vents in crawl spaces, and use baseboards with caulking in your basement. When dealing with an infestation, call an exterminator to book a consultation so that these insects do not cause damage to your home or family.